Black velvet bodice, sleeves and shawl, with bright yellow and white asymmetrical embroidery design. 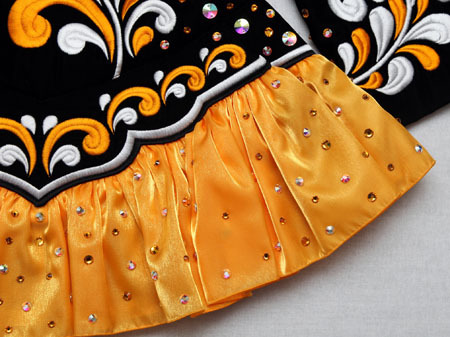 Modern style skater skirt constructed from yellow, black and white twinkle satin layers. 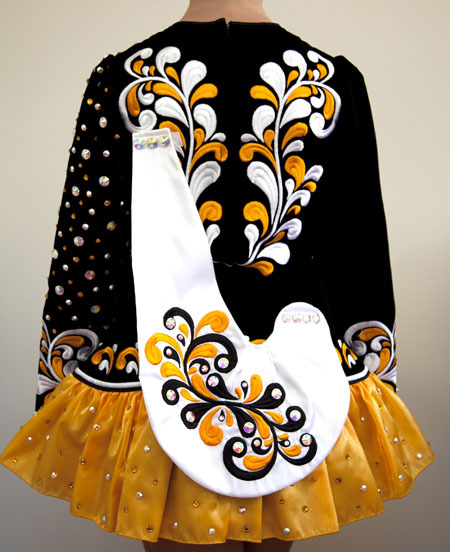 White twinkle satin shawl with matching yellow and black embroidery. Hundreds of Crystal AB and amber gold Swarovski crystals in various shapes and sizes for added sparkle. 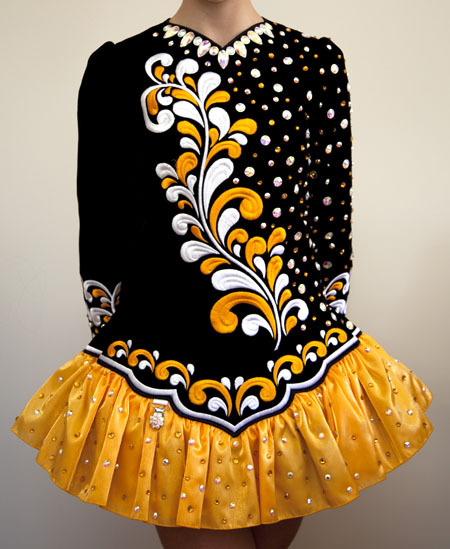 Crystals scattered on one sleeve to enhance asymmetry of costume. Dress available for shipping only after July 29.